1. Leave one comment on this post anytime between now, and Thursday night at 11:59 PM Eastern Time. You are limited to one entry. Feel free to link this giveaway on your blog, or share it with anyone you feel is a notebook addict. 3. For this contest, I will pick three winners at random from the comments section of this post. 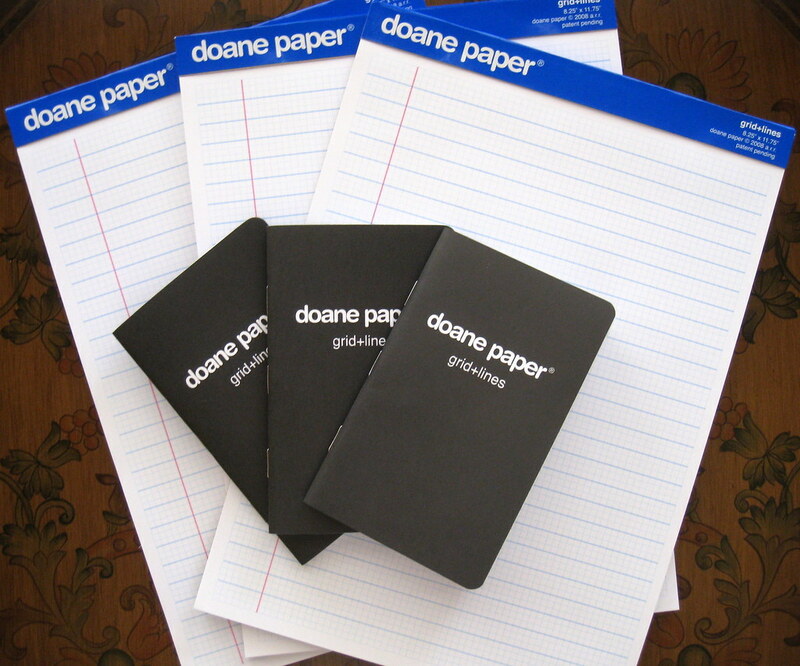 Each winner will receive (1) Doane Paper Writing Pad and (1) Doane Paper Utility Notebook. The comments will be numbered in the order they are received, i.e. the first comment is #1, the second #2, and so on. The random number generator at randomizer.org will be used to pick the number of the winner. 4. The contest winner will be posted on Friday, November 7th. The winner will have one week to email me at the address posted in the right sidebar. 5. I will ship internationally. I know their are many international readers and fans of The Pen Addict (and hopefully now The Notebook Addict), and I will gladly ship to you at my expense. Thanks again to Chad Doane, and please be sure to visit the newly redesigned Doane Paper Store. Posted on November 4, 2008 by Brad Dowdy.